Being a gardener comes with countless benefits. It’s reliable exercise, great for getting you out into nature where you can benefit from sun and fresh air and, many would argue, good for the soul. However, like so many things, gardening is easy to have a love/hate relationship with. Many people find their favourite pastime is also one of the most frustrating. While the challenge of gardening is certainly half the fun, it doesn’t make sense to needlessly suffer through any problem, especially where your favourite part of the home is concerned. Fortunately, there are a number of important tips that can help make your hobby a lot easier and a lot more fun. Clay pots are an important part of anyone’s garden. Sometimes you may simply want to grow a plan on its own and never actually put it into ground. Other times, you may need a clay pot to being growing a plant before it’s mature enough to enter your garden. In any case, if you find salt deposits inside your pots, it’s important to rid them of it before using them. Unfortunately, as you may already know, this can be much easier said than done, as salt is often a persistent tenant. However, it doesn’t take a lot of elbow grease, expensive chemicals or going back to the store to buy new pots. Instead, just combine rubbing alcohol with white vinegar and water. 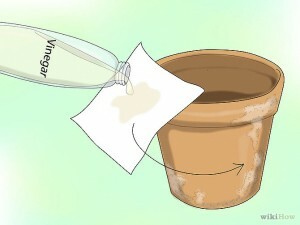 Mix this in a spray bottle and then cover the pot as needed. Scrub it through with a plastic brush and let it dry. Then it will be ready for planting. One tell-tale sign that someone has been in the garden recently is the dirt that digs deep under their fingernails. 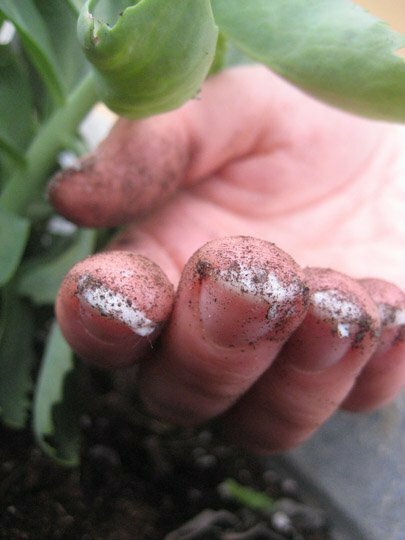 People who love to garden are often said to have a green thumb, but it’s just as true that they have black fingernails half the time. It can also be a real pain to get rid of the dirt once it accumulates. But there are two methods you can use to keep this problem from happening. First, simply make sure you clip your nails regularly and this will keep dirt from finding its way underneath them. Of course, this isn’t a flawless solution and some of us like to keep our nails a bit long. So, either way, before you go into the garden, dig your nails into a bar of soap. By doing so, you’re effectively filling up the area dirt would otherwise take over. 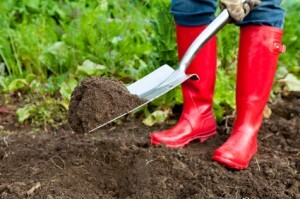 When you go in the garden now, you can dig as deep as you like and dirt simply can’t get in. Plus, it’s easy to remove, just wash in warm water and rub your hands around like you’re used to. The soap will melt and slide out, leaving behind incredibly clean hands. If you use a string trimmer to keep your hedges looking beautiful or to otherwise manage your garden’s growth, you probably run into a common problem on a regular basis: your line constantly breaks or jams. Like many people, you may actually put off using it for what a pain it can be when this happens and the string trimmer simply refuses to cooperate. But this problem, too, has a simple solution. This time, just take a can of spray vegetable oil and apply it to the string before you install it into your trimmer. That’s really all this annoying problem takes! Most people may not associate a tape measure with gardening, but those of us who have been at it for a while know that it often helps to have such a tool handy. Often, for example, we need to measure out the distance from one space to another, so we can find out where to put our plants so they don’t get in each other’s ways. 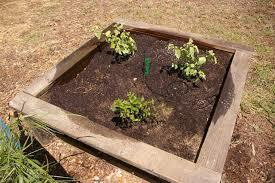 Otherwise, these plants will grow to interfere with one another and fight for sun, water and nutrients. There’s nothing wrong with using a tape measure for this, but there’s also a far more convenient way to space out plants in this scenario. Go out to the garage and find your tape measure. Then lay it down at the length of any long-handled tool you use regularly like a shovel or a hoe. Now, with a magic marker, draw on the long-handled tool’s wood shaft every inch and foot mark. Now, the next time you need to take a measurement, for any reason (even if it’s just to see how tall a plant has grown since last time), you’ll always have the necessary tool handy. Another tool a lot of non-gardeners may not expect we need regularly is twine. Unfortunately, twine has a habit of disappearing when we need it most. 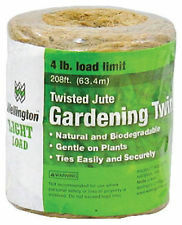 In fact, if you’re like most gardeners, you probably know you’ve purchased twine countless times simply because you couldn’t find the last spool you had purchased. Of course, often times, you find your twine, but it’s been kicked or blown around so much, it’s practically in shambles and nearly impossible to use. The solution for this is to find a small clay pot and run the twine through the hole at the bottom. Then, turn the pot over and put it on top of the twine ball. You can leave this out by your garden if you have a convenient spot where animals won’t mess with it, otherwise, anywhere in your garage should work. Going forward, though, when you need twine, you’ll know exactly where to look and don’t have to worry about where it will be next time. It’s always a good idea to have more clay pots around than you need at any one time. That’s because, hopefully as you’ve already seen, they can be used for so many different purposes. One especially important purpose these pots can serve I actually safeguarding your plants when they need it most. Young plants are especially vulnerable to sudden frosts that can role in overnight. Other times, you may have torrential rain or hail that absolutely pulverises all your hard work. Of course, you may also have the occasional band of roaming rabbits or other vermin who don’t think anything of using your handiwork for a midnight snack. With enough pots on hand, you can sleep well at night by turning them over on top of your vulnerable plants. This will keep all kinds of damage at bay, while still leaving them free to soak up the fresh air. They’ll even be able to get a taste of rain when it comes through. Plus, every morning, just remove the pots and they’re ready to continue pursuing sunlight. Here’s another absolutely genius way your pots can help save your garden. Have you ever got done watering all your plants with the hose only to turn around and see you may have done more harm than good? That’s because while you were enjoying quenching your garden’s thirst, the hose itself was busy running over your favourite plants, perhaps even killing them. The easy solution for this is to simply stay focused when in the garden, but we all know how difficult this can be. Instead, nail a steel bar into the ground right at the corner of your garden. Next, slide a pot over it and then another, with the second pot facing down. When you’re finished, you have a great guard for your garden that will prevent the hose from getting stuck and holding you back or from running over all your hard work. The bigger your garden gets, the more difficult it can be to remember what each plant is. New gardeners may also have a difficult time remembering what a certain plant is. This is especially true when they’re not yet in bloom or otherwise showing off their most distinctive traits. While there are a number of ways to mark your flowers, the best one is probably the most subtle that also helps your garden maintain its natural feel. Try writing down the name of each plant in permanent market on the flat side of stones and then placing them next to your various plants. For best results, you may want to look for large stones in rivers or other places where water regularly erodes them into a flat side. 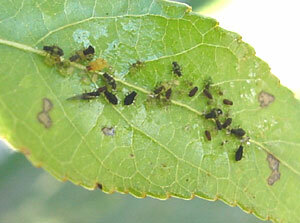 Aphids aren’t large at all, but the impact they can have on your precious garden definitely are. A lot of people simply try to get rid of them by blasting them with water when they have the hose in their garden. Others try using some type of insecticide soap. Another easy and extremely effective way to tame these little creatures is by simply wrapping your hand in tape, with the sticky side facing out. Then, as you go through your garden, pat down the leaves of your plants. Be sure you run your hand under them too, as aphids love the undersides of leaves. Some of you may already be doing our best to recycle as far as your garden goes. A lot of people do this by making their own compost, for example. 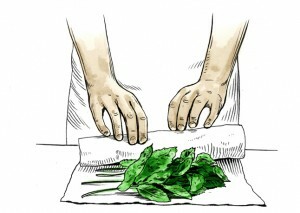 However, another smart move is to reuse the water you use to steam or boil vegetables. Instead of just pouring it down the drain, wait until it cools and then use it to water your garden. You’ll be amazed how much your plants appreciate this home-made vegetable soup. Plus, this is a good way to encourage yourself to eat more vegetables. 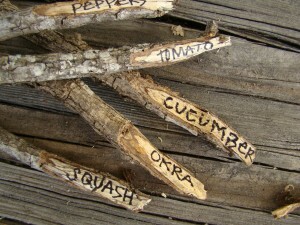 If you have them planted in your garden, it makes it even easier to utilize this method for better results. Speaking of reusing elements of your everyday life, don’t throw away that tea or those coffee grounds just yet. That’s because they could hold the secret for acidifying your garden’s soil for plants like camellias, rhododendrons, azaleas, gardenias and other acid-loving flowers. Just a little sprinkle of about a fourth of an inch handed out once a month will be enough to maintain the pH of this soil at an acidic level. Chamomile tea can be helpful as well. Aside from being a lovely way to wind down at the end of the day, you can also use chamomile tea to help manage damping-off fungus. This is the type of fungus which likes to make a meal of young seedlings in your garden, so it’s especially important you get a handle on them. All it takes is a spot of chamomile once a week to the base of seedlings to ward off this type of fungus. You can also utilize this tear as a foliar spray too. If you have herbs in your garden, you know you need to dry them out before they’ll be much use for your meals. Fortunately, there is a quick way to do this that has secondary benefits as well. First, lay them down on newspaper in a straight layer, so they’re not touching each other. Then roll this newspaper up and place the result on the seat of your car. Next, roll the windows up and let the sun do its thing. Not only will they dry extremely fast, but your car will also benefit from an amazing smell at the same time. Many of us are weekend warriors when it comes to our gardening. It might be because we just don’t have time during the week otherwise or because it’s so relaxing, we like to save up all the fun for the weekend when we can really enjoy it. 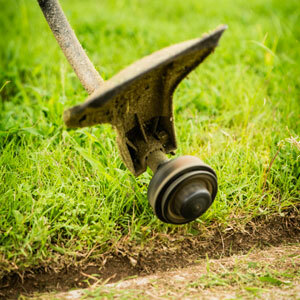 However, it’s important that you spread out your gardening chores throughout the week as much as possible. Even if it means some nights you just spend a few minutes on pulling weeds or watering your plants. There are two reasons for this. One, this way you’re constantly in your garden and can keep tabs on its status. If one of the chores you did had deleterious effects, it’s better you find out immediately, as opposed to a week later when you’re finally able to get back in there. Second, sometimes your garden simply can’t wait for attention. By the time you pull a certain weed, it may have already grown a nice long root that’s sucked out valuable nutrients from your other plants. A lot of you may have your mind made up that organic products are more hype and price than anything. There’s a lot of truth to this sometimes, as any industry that popular will eventually develop problems with authenticity. However, there’s still plenty of reason to believe that organic fertilizers are actually a good idea. Time and time again, commercial fertilizers have been shown guilty of building up salt. There are a number of measures you need to take with new beds to ensure it will be a successful project. However, don’t forget the simplest steps you should be taking. This means double digging and soil amendment. Not only will this make for a healthier new bed, it will help give it a jump-start too. But don’t drink it! Whether you’re making compost or simply taking it out of a bag, don’t apply it to your garden yet until you’ve run some water through it. 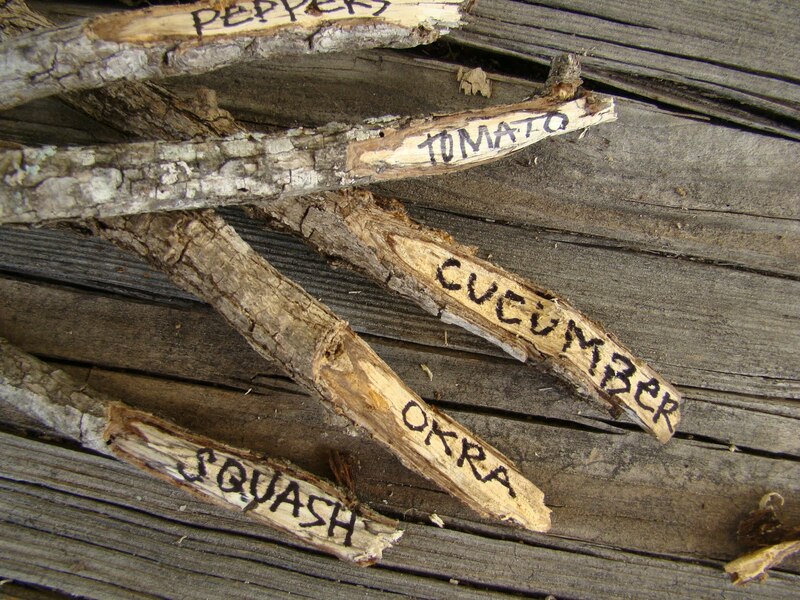 Doing so will produce a beautiful compost “tea” that is absolutely loaded with nutrients. 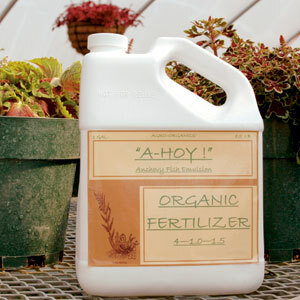 Use it for foliar feeding or simply watering your plants. Either way, it will have powerful effects. Clay soils are a very popular type for many reasons. However, it’s easy to try planting in it and making matters much worse. One way to do this is by covering your seeds in vermiculite rather than clay. While clay makes for good soil, it also absorbs heat which can actually bake your seed instead of helping it grow big and strong. The other problem with clay is that it’s apt to form a top crust, which then acts as a barrier between your young seedling and all the nutrients it needs. Many new gardeners get anxious to water their plants when it’s especially hot out. This makes sense, of course, as they’re worried for their garden’s well-being. Unfortunately, when you do this, you’re doing two things wrong. First, you’re having to use more water than if you had watered your plants in the coolness of the early morning or later afternoon. Secondly, by applying water to your plants right now, they’re going to get burned by the intense heat they’re trying to deal with. Although there are countless other ways to get the most from your gardening, the above tips should be enough to get you started down the right path toward great success.